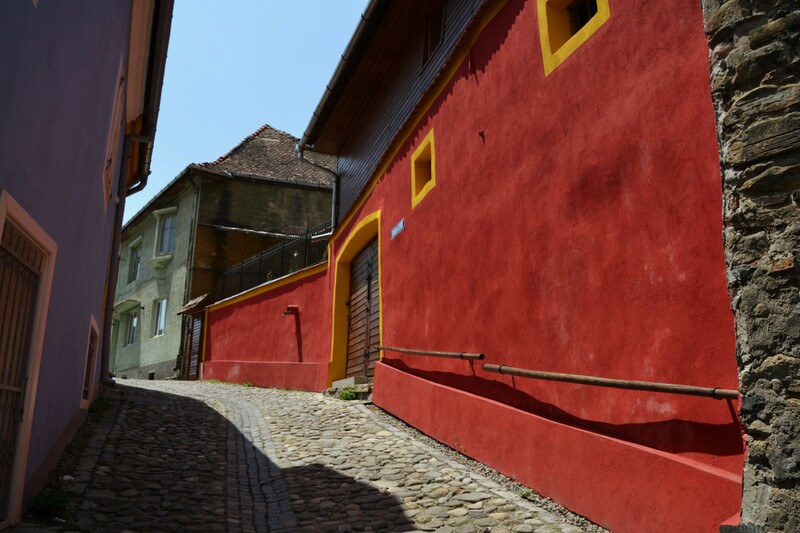 My first post about Sighisoara was related to the "after-dark" medieval atmosphere and the shadows of 16th century legends. 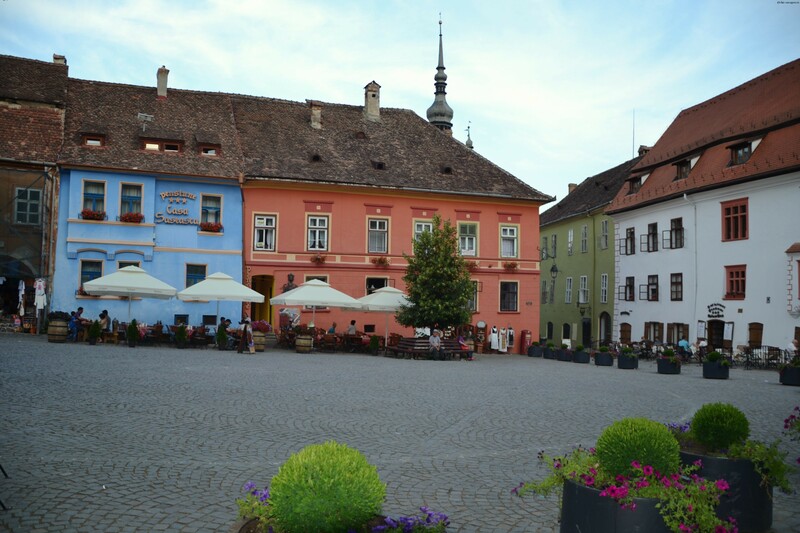 However, Sighisoara has another side, the romantic one, bright and colourful, with knights and princesses and lovely medieval songs. 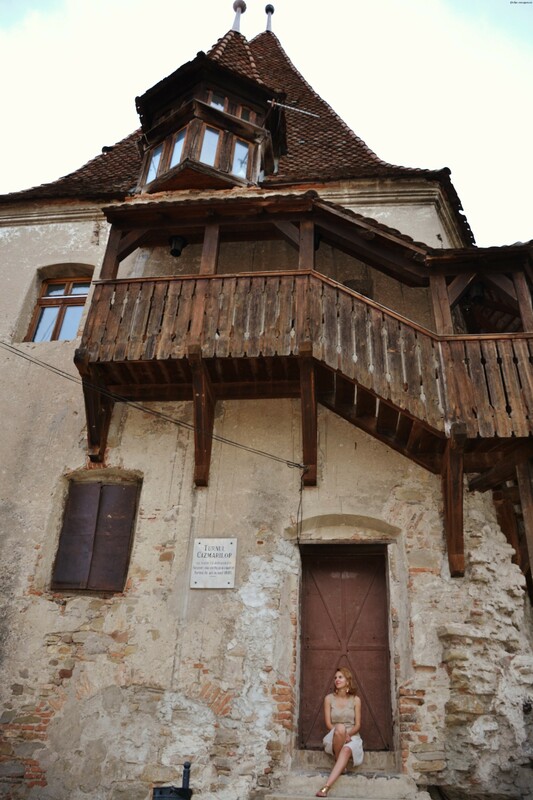 Between 23 th- 26th of July, this world turns to life during the medieval festival of Sighisoara. 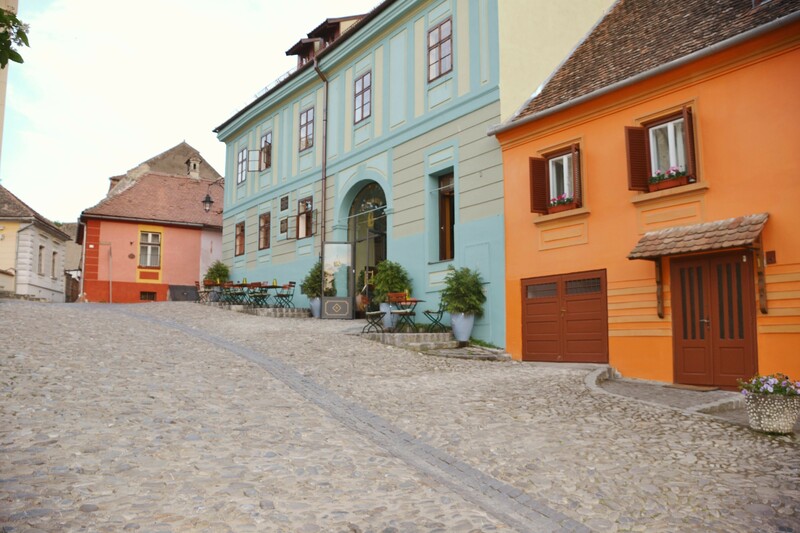 Sighisoara is one the best preserved medieval citadels in Europe. It was established by the Transylvanian saxons during the 12th century, in order defend the border of the Hungarian kingdom. The small citadel on top of the hill preserves intact the 16th century architecture, the castle with nine towers, the clock tower, the prison, the stone streets, the gothic churches and bridges. It's a bright and colourful atmosphere with the oldest buildings dating back from 1600. During the medieval festival, the citadel is incredible lively, 25, 000 people from all over the world come here to live the medieval times. 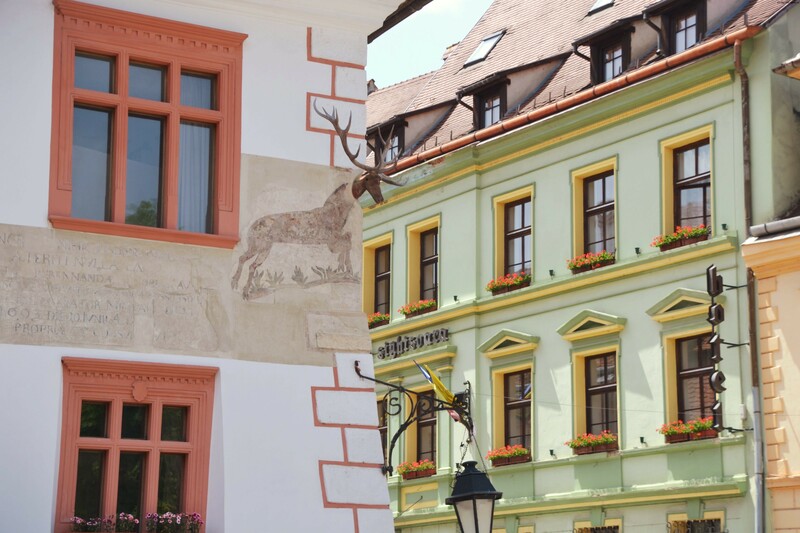 Stay in a medieval house : Casa cu Cerb, the Georgius Krauss House ( a 1600 building, that houses a very unique medieval fresco. 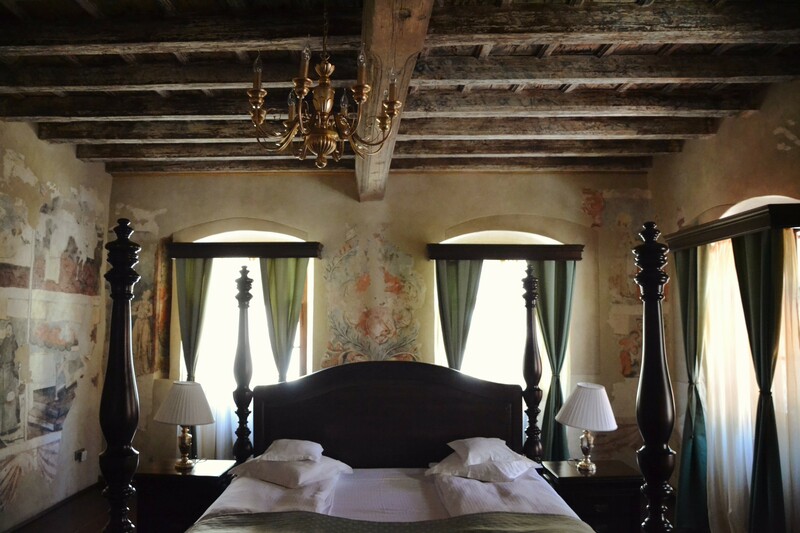 It is the only place in Europe, where you can book this unique room and live in a medieval room with original fresco). Room with original fresco, the only place in Europe where you can book accommodation in such a room. Book Krauss House. Visit the Church on the Hill with 500 years old fresoes, the Venetian House, the famous Towers, the Clock Tower with astronomical clock, and of course the birthplace of Vlad Dracula, also known as Vlad Tepes ( Vlad the Impaler), ruler of Walachia from 1456-1462. Enjoy the medieval music that surrounds every corner of the citadel. You must have heard of the troubadours, the travelling musicians that sang about chivalry and courtly love. They are known all over the world as messengers of love, because of the romantic ballads. The minstrels are also singing the harp, the flute, but also reciting poetry. You can have a chance to see all these medieval artists during the festival. 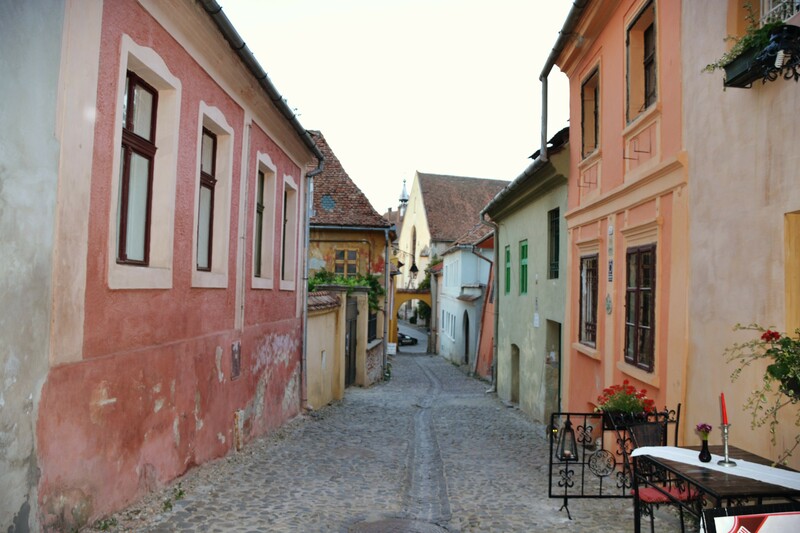 Sighisoara is the place where princesses can find their knight and enjoy a courtly love. Although I was not in Sighisoara during the festivals, I was lucky enough to enjoy a troubadour singing the flute outside my window 🙂 And it did sounded romantic. Credit: thank you Krauss House for one amazing experience. special thanks Tria-Alfa for my special earrings!